SCHICK HYDRO SILK TRIMSTYLE "TOPIARY"
To announce the arrival of the new Schick Hydro Silk Trimstyle - the only waterproof bikini trimmer and hydrating razor in one – we left... well, nothing to the imagination in demonstrating it’s the tool ladies have been waiting for, to handle this delicate job. 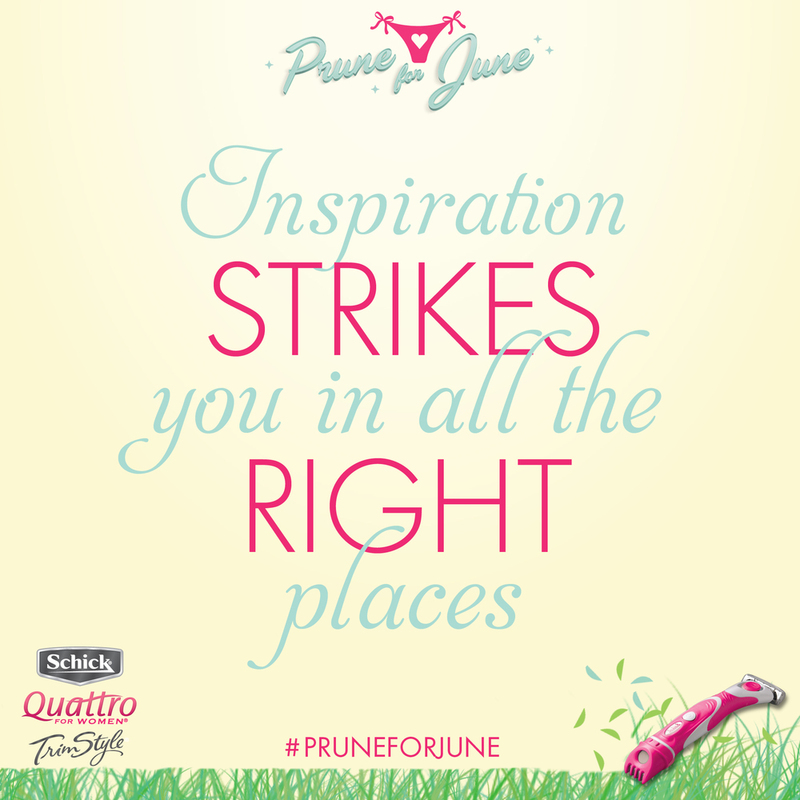 SCHICK QUATTRO TRIMSTYLE "PRUNE FOR JUNE"
"Prune for June" is a digital campaign for Schick Quattro TrimStyle – an adorable pink razor with a built-in bikini trimmer on one end. 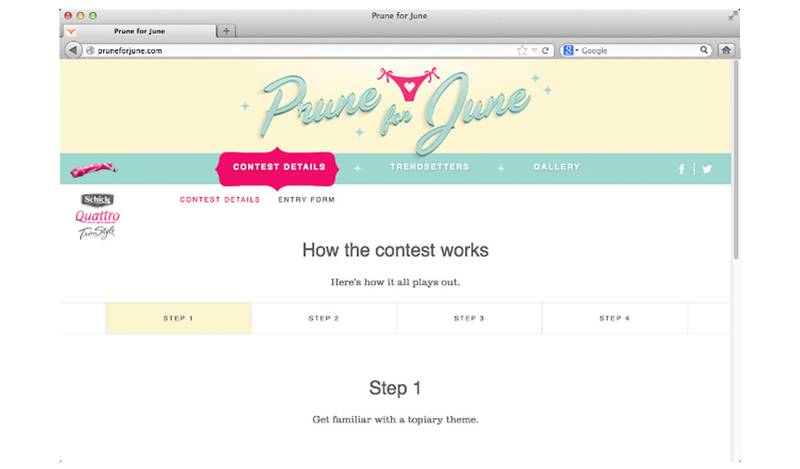 To promote the product, we launched a Pinterest contest where we invited women to create Pinterest boards inspired by their favorite "topiary theme" (i.e. bush shape) and create a pin board to win prizes. Our website featured shape-inspired boards from five fashion bloggers to get the ball rolling, and soon consumers were creating their own boards. 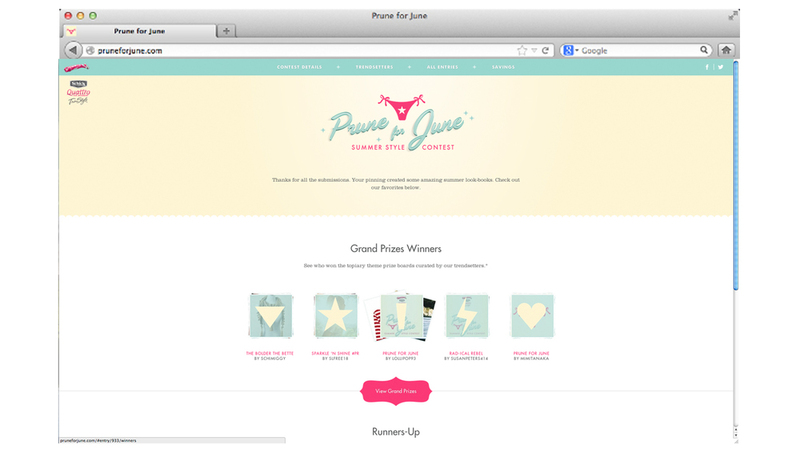 Participants shared their Pinterest boards on social media to get votes, which helped determined the winners. To promote the contest online and spread the word across social media, we created a number of online ads and social media posts throughout the month of June. The content reflected the playful, edgy vibe of the campaign. The campaign was well received by press and social media, and was also promoted by a number of prominent fashion bloggers as well. Creativity Online, Refinery 29 and The Cut of New York Magazine.